If you're not from France, you had no idea that last March the Coupe de France (Cup of France) of the Burger 2017 was held. Organized during the Sandwich and Snack Show in Paris, this highly prized competition puts professionals and amateurs face to face. The jury chose between the 170 burgers that were presented to them and chef Vincent Boccara, thanks to his burger Black OG, won the competition. 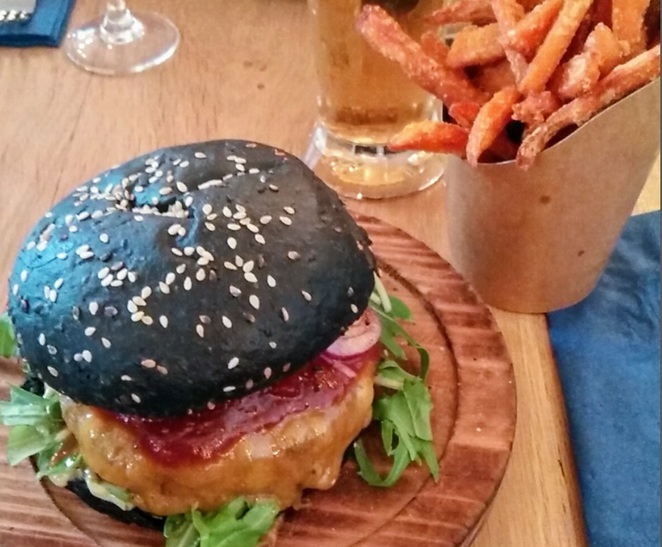 This burger, with its charcoal-based black bread, also hides cheddar, bacon, a BBQ sauce with Japanese herbs. To spoil nothing, it has also been flavored with whiskey: a daring chance, but one that obviously paid off. The "Black OG" (for "Original Gangster", in reference to actor and director Takeshi Kitano, currently famous for Ghost in the Shell) is an American-style burger with chopped steak, cheddar, and bacon, with Japanese touches. It also mixes fatty and healthy foods, like the vegetable charcoal bread, created by the bakery Utopia (Paris 75011), known for helping digestion and intestinal disorders. The cook paid a tribute with the Black O.G to the actor Takashi Kitano who played in the film Aniki my brother (2000), where he plays a Yakuza who leaves to go to the United States to form his own clan. 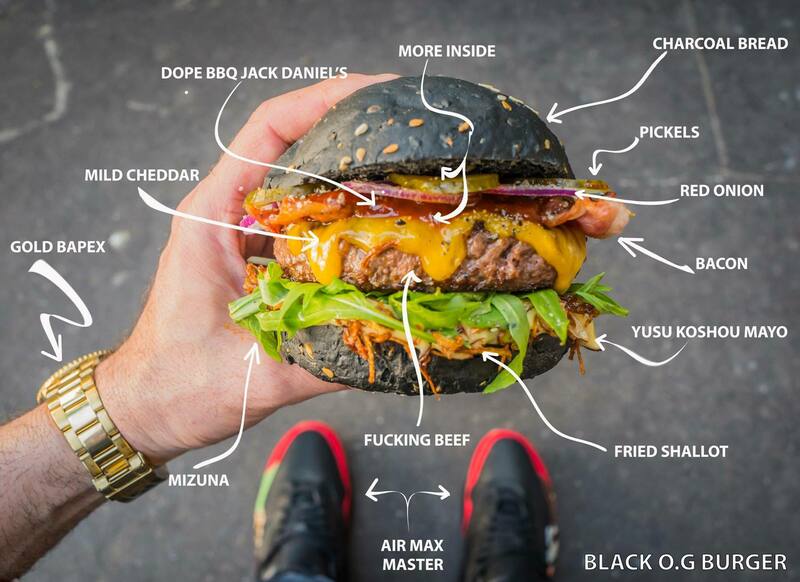 He chose a black bread in a nod to his costume and the sacred tattoo of the Yakuza is represented here by the different layers of colors in the burger. It is possible to taste this burger. The meal is served at the W for Wok (12, rue des Petites Ecuries in the 10th) and the Goku Asian Canteen (27, boulevard du Temple, in the 11th), the two restaurants run by Vincent Boccara. QED.